Dictionary mining is not a new technique. It has been around for long only that the wrong people have been using it for wrong purposes. Hackers have always used dictionary mining to program spam bots. That explains how spam bots can guess email addresses with ease. The concept behind how the technique works is easy. Suspects often use the same nicknames when creating email addresses. They also use the same nicknames as usernames when signing up or commenting on blogs and online forums. So if for instance the suspect under investigation goes by the name dogman04, there is a high likelihood that the suspect’s email address is dogman04@hotmail.com. A private detective can then send a short email to the address and wait for a bounce back email notification. If the notification does not come back, the address is in use. A detective can then use the ‘forgot password’ link and guess the secret question to gain access to the email account under investigation. There is nothing wrong with social media stalking where a private detective in Perth can use it to unravel criminal activities. The technique is simple. It all begins with finding out what aliases the suspect uses on social networking platforms. Once a detective uses the dictionary mining to find out the suspect’s aliases on different online platforms, social networking stalking steps in to help the detective find out the suspect’s real names. There are several software programs that can make this procedure easy. Be sure to search for the best ones online. Simply referred to as RIT, Reverse Image Tracking is one of the most effective online investigation techniques today. 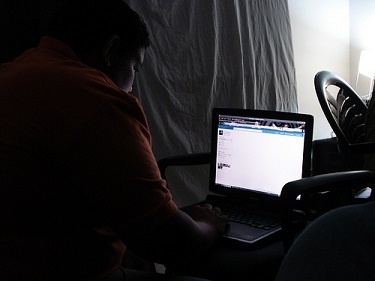 An investigator simply finds or rather collects the images and avatars used by the suspect in different social networking accounts. The images are then run through search software programs to find out more about the suspects online activities. It is yet another effective online private investigation technique. With picture fishing, a Perth private detective sets up a parody profile or account. The detective then tries to connect with the suspect mostly on dating sites and request for images of the suspect. The technique takes time as one must be patient while extorting personal information from the suspect. This makes picture fishing extremely effective for investigating cheating spouses.